Decay dilemma: Do kids need dental sealants? No question, 8-year-old Blin Rollins has a sweet tooth. He’d rather drink juice than water and he doesn’t turn down candy, admits his mother, Amy Rollins, 36, of Augusta, Maine. So when her dentist, Jonathan Shenkin, suggested that dental sealants could keep tooth decay at bay in Blin’s permanent molars, Rollins was interested. “Any type of preventive thing we can do to help keep his smile beautiful, we want to do,” she said. Only about 20 percent of children at poverty level and only 40 percent of kids from higher-income homes actually receive recommended sealants, according to studies by the Centers for Disease Control and Prevention. That confounds Shenkin, a pediatric dentist and spokesman for the American Dental Association. He says decades of research demonstrate that coating the biting surfaces of 6-year molars with a resin-based sealant can reduce cavities by up to nearly 80 percent immediately -- and up to 60 percent for four years or more. “It’s imperative that as soon as those adult teeth erupt, that they be sealed,” he said. In practice, however, less than 40 percent of dentists actually follow the recommendations of the ADA, according to a 2011 study by researchers at Temple University. The study tracked whether dentists were willing to seal teeth with the beginnings of decay, but no actual cavities. But one of the profession’s most well-regarded dentists has been publicly cautious about sealants, saying there can be a high failure rate -- 50 percent within five years -- and arguing that they shouldn’t be placed if there’s any evidence of decay. Gordon J. Christensen, who publishes Clinicians Report, widely regarded as the “Consumer Reports of dental products,” says that sealants done properly are “an excellent technique” for combatting decay. But, he adds, the success of the sealant depends largely on the skill of the person who applies it. “They have to seek out a practitioner who knows what they’re doing,” he said. Christensen is concerned about so-called “non-cavitated caries lesions,” early signs of tooth decay that have not yet resulted in cavities. He worries that sealants trap plaque on the tooth, creating an environment that fuels future decay. CDC researchers say studies have shown that decay does not progress once sealants are added, but Christensen maintains that he’s not convinced. Dental sealants are formed when a plastic-like liquid is dripped onto the biting surface of the tooth, coating the pits and fissures that typically trap food and foster bacterial growth. They’re applied to the permanent molars and set with ultraviolet light, ideally between the ages of 5 and 7, when the teeth erupt. Cost can be $30 to $40 for each tooth and is typically covered by most dental insurance policies. Studies consistently showed that sealants warded off decay in high proportions of permanent teeth, sometimes for up to a decade. 'This is a highly charged issue,' Christensen acknowledged. Between 45 million and 55 million sealants are applied each year in the U.S., with pediatric dentists performing more than twice as many procedures as either general dentists or dental hygienists. That’s according to a report by AFG Research, a firm that tracks use of dental and medical products, in its U.S. Market Snapshot Series Report on Dental Practice Activity. Support for the sealants is shared by oral health experts at the Centers for Disease Control and Prevention, who are particularly in favor of school-based sealant programs that reach kids without regular care. “We’ve made the argument that they need to be used more, particularly among children at higher risk of decay,” said Barbara Gooch, a dental officer with the CDC’s division of oral health. 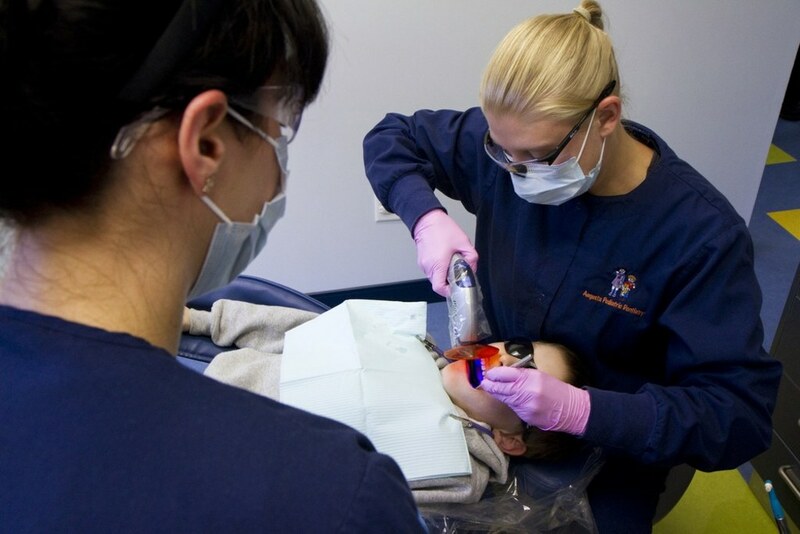 For many middle-class parents whose children do see the dentist, the problem is that the subject of sealants may not even be raised, said Shenkin. 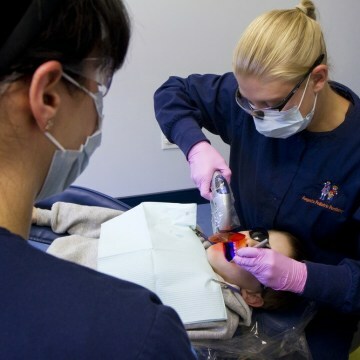 Some dentists, mostly those who treat few children, might be leery of sealants because they can be tricky to place, or because they didn’t learn to use them in dental school and aren’t in the habit of offering the treatment, Shenkin said. To be clear, not all children need sealants, said Bill Bailey, a dental officer with the CD, because their teeth are naturally not prone to decay or they have exceptional oral hygiene habits. But only a dentist can tell and Shenkin says parents should at least inquire. But many do, and not just children typically at high risk. Recent studies have shown that boys in higher-income homes had the greatest prevalence of decay. For those who do require sealants, they may mean the difference between a lifetime of healthy teeth and the pain and health risks of chronic decay. “What folks need to know is that 90 percent of decay in the adult is on the biting surface on the back tooth,” Shenkin said. He’s touting the benefits of sealants in part so that more parents will know to ask about them. “Dentistry is a very demand-based health service,” he said. “Patient demand really affects what dentists do in their practices."